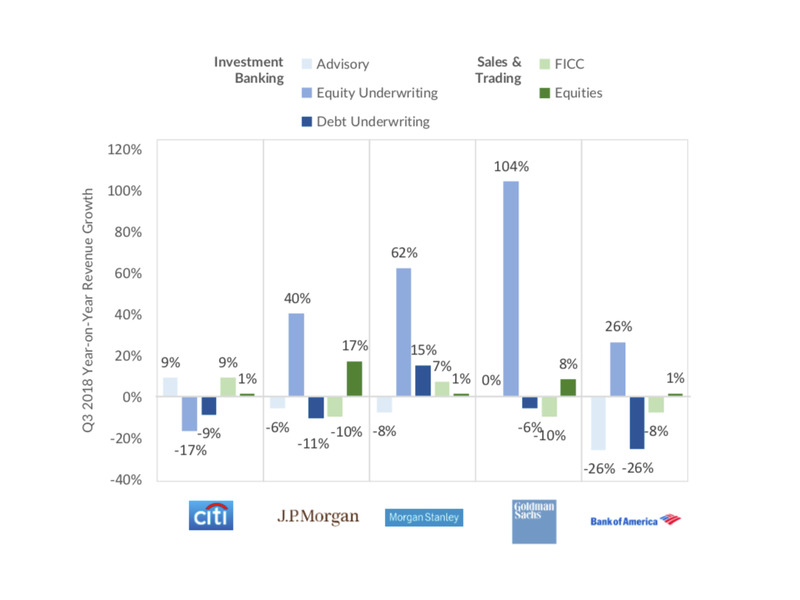 Opimas, a capital markets consulting firm, has released a scorecard showing how much individual investment banking business lines – strategic advisory, equity and debt underwriting, and equity and FICC sales and trading – grew year-over-year at Citigroup,JPMorgan Chase, Morgan Stanley, Goldman Sachs, and Bank of America Merrill Lynch. 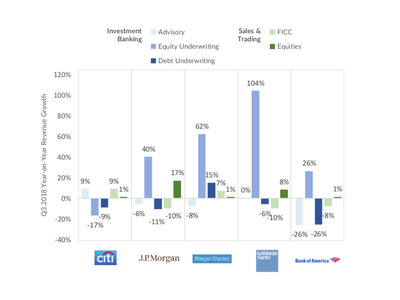 For dealmaking, the clear winner is Citi – the only bank to show positive revenue growth, with a 9% increase compared with 2017.Bank of America had the worst quarter, falling 26%. On the sales and trading side of the business, Citi crushed it in FICC with 9% growth, besting bond-trading powerhouse JPMorgan, which saw revenues fall 10%, by $US400 million.